How beneficial is LED lighting? At Cherokee Elementary School in Scottsdale, Ariz., new-fangled LED lighting fixtures not only save energy, they also prevent special education students with autism from being bothered by fluorescent lighting. Researchers maintain that individuals with autism are more vulnerable to the sub-visible flicker of direct fluorescent lighting, which can cause headaches, eyestrain and increased repetitive behavior. 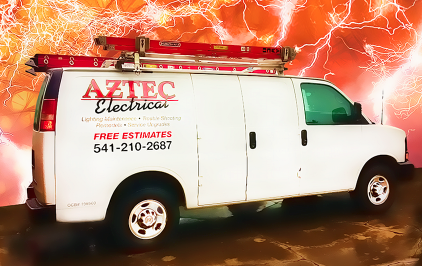 Call Aztec Electrical today at (541) 245-8560 to learn more about using our #lightingdesign services in conjunction with rebates and incentives from the Energy Trust of Oregon. In this pilot project, Scottsdale Unified School District replaced 69 2x4-foot fluorescent lighting troffers in four special education classrooms with 60 2x2-foot flat-panel LED fixtures from lighting manufacturer MaxLite. The install has the added benefit of energy savings. The new lighitng used MLFP22D4535 2x2 Direct Lit Flat Panels. These panels each emit 3,850 lumens of brightness while using just 45 watts. The lumen power is far less than the 8,000 lumens the school’s previous fluorescent troffers offered, but those classrooms had been overly lit. Source: adapted from material at the K12 TD web site.